In April 2005, CST received an urgent request from none other than Goddard Space Centre at NASA. That’s right NASA! The Hubble Telescope at the time was due for a refurbishment, replacing a Wide Field Planetary Camera for Service Mission #4. 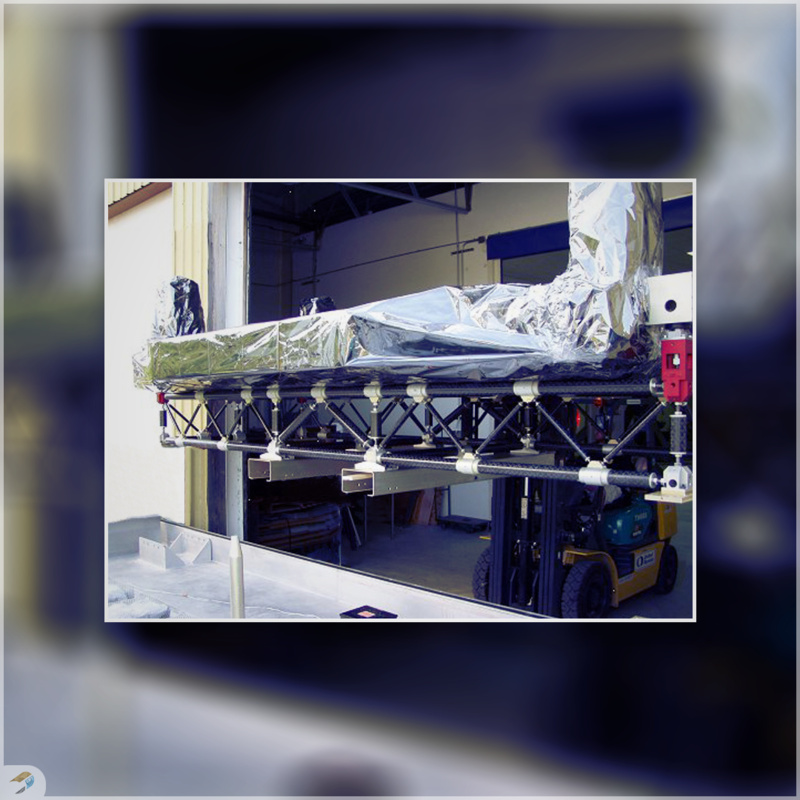 The problem was that they need a light weight but strong pallet to be mounted into the Shuttle Cargo Bay, which would hold the necessary equipment for the mission. To add even more pressure to the request, NASA needed the tubes in less than 6 weeks from the enquiry. From the date of enquiry to the delivery in Florida, CST through our lean manufacturing techniques and engineering capabilities, was able to created specialized high modulus carbon filament wound tubes, all delivered in under 6 weeks to space centre. The component that used the carbon fibre filament wound tubing was for a Horizontal Pallet (HP) Turnover Assembly. The HP was one half of the completed SLIC assembly, which was mounted in the shuttle’s cargo bay. As previously stated, the SLIC was used to carry a replacement Wide Field Planetary Camera to Hubble during Servicing Mission #4, alongside mission support equipment. The Composite Backbone Assembly, which is where the carbon fibre tubes were used, is the frame structure used to support the HP during handling operations and transportation. Not literally the colour green but new solar panels are planned on being installed at our factory at Ingleburn in the coming weeks. A whopping 274 panels are being installed onto the factory roof, providing 80% of the energy needed to run the entire factory and all our machines. Whilst the panels are coming, this video created in Solid Works shows off the shadowing effect as the sun moves through the sky. Stay tuned until the actual panels arrive!